The holidays can be a great time to score some items you’ve been eyeballing but if you’re like most of us, you don’t always get everything you want in part because finances dry up from buying gifts for everyone else. If that sounds familiar and you’ve been itching to dive into the world of virtual reality gaming, we’ve got some good news to share. Sony recently announced that its PlayStation VR holiday deal was so popular, they’ve elected to bring it back for a limited time. 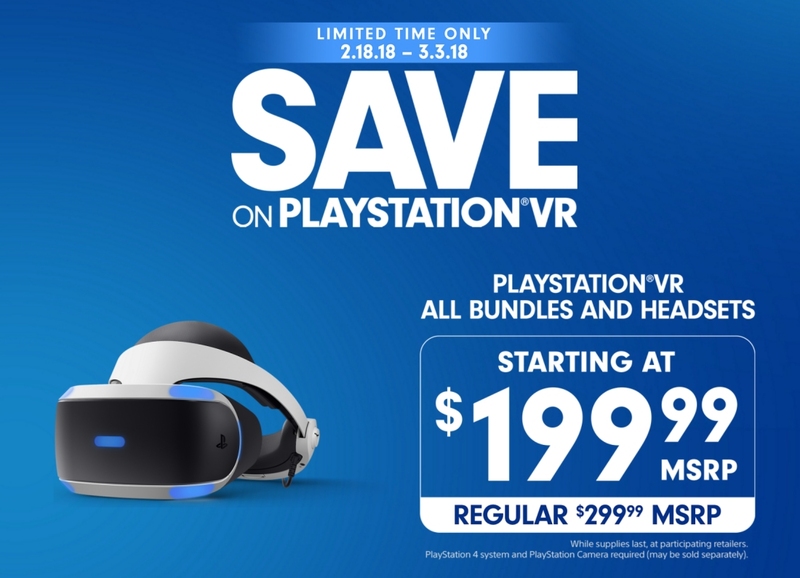 From February 18 through March 3, you’ll be able to nab select PlayStation VR bundles starting at $199.99. Sony’s best deal appears to be on the PlayStation VR Gran Turismo Sport Bundle which includes the PlayStation Camera, the PlayStation VR headset and Gran Turismo Sport for $199.99 (regularly $299.99). Other noteworthy deals include the PlayStation VR Doom VFR Bundle that packs the PlayStation VR headset, PlayStation Camera, the PS VR Demo Disc 2.0 and the Doom VFR Blu-Ray for $299.99 (normally $399.99) and the PlayStation VR Elder Scrolls V: Skyrim VR Bundle with the PS VR headset, PlayStation Camera, two PlayStation Move controllers, the PS VR Demo Disc 2.0 and Skyrim VR with all official add-ons for $349.99 (usually $449.99). Participating retailers include GameStop, Walmart, Best Buy and Target. Some are speculating that Sony is clearing out winter inventory to make room for next-gen headsets, possibly even wireless models. That’s something to keep in mind if you’re planning on picking up one of these bundles.